Hey everyone! 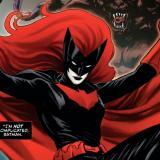 Welcome to Batwoman.tv! This is a new site and if you are from Supergirl.tv you know the admin loves help finding website bugs. If you see any issues on the site please let us know about them here. I did about three days worth of Quality Assurance testing but when it comes to QA, you can never do enough! Really appreciate your help and welcome again!